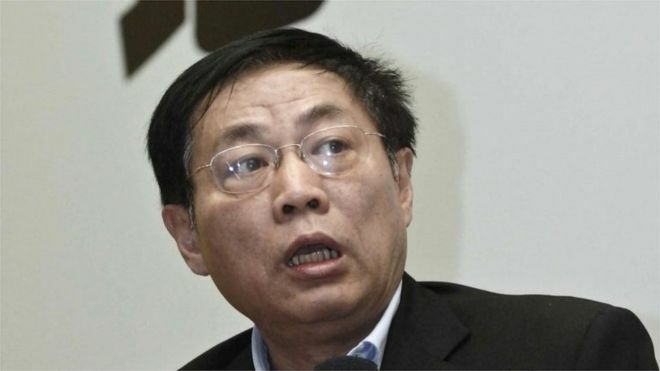 China has shut down the microblogging accounts of outspoken former property tycoon Ren Zhiqiang after he criticised President Ren Zhiqiang.The Cyberspace Administration of China accused Mr Ren of publishing “illegal messages that had a bad impact”. Mr Ren had written that state media were funded by taxpayers and should serve them, not the Communist Party. President Xi urged state media early this month to follow party lines in their reporting. China has been criticised for its strict internet regulations, including blocking major sites and censoring posts. But Mr Xi has argued that countries had the right to choose how to develop and regulate the internet. Almost 40 journalists are currently in prison in China for work posted online, the advocacy group Reporters Without Borders says. Ren Zhiqiang is a retired top property developer with more than 30 million online followers. His Weibo blog last week attacking Mr Xi had been criticised by state media – one referring to him as referring “anti-Communist Party” thoughts. Internet users had to stick to the law and the fundamentals of socialism, said Jiang Jun, a spokesman for the Cyberspace Administration of China. China has also unveiled new rules – coming into effect on 10 March – banning foreign media companies and foreign joint ventures from distributing content online without prior approval by Beijing officials. This entry was posted in Culture, Headlines, Internet Freedom and tagged censorship, cyberspace, internet, Ren Zhiqiang, Weibo. Bookmark the permalink.